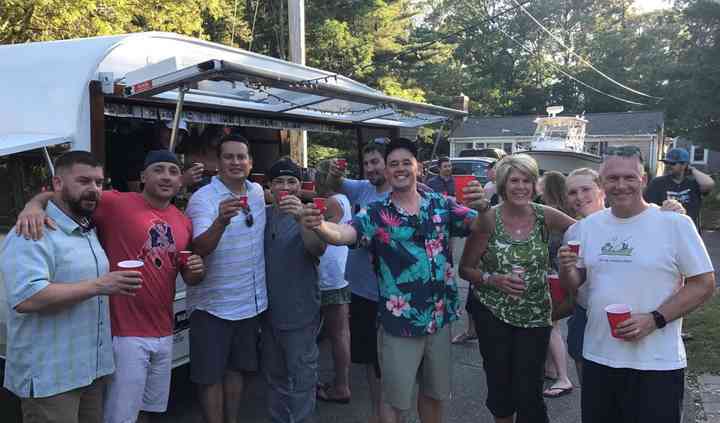 Cape Cod Mobile Mixers located in Chatham, Massachusetts offers full bartending services for your backyard event. 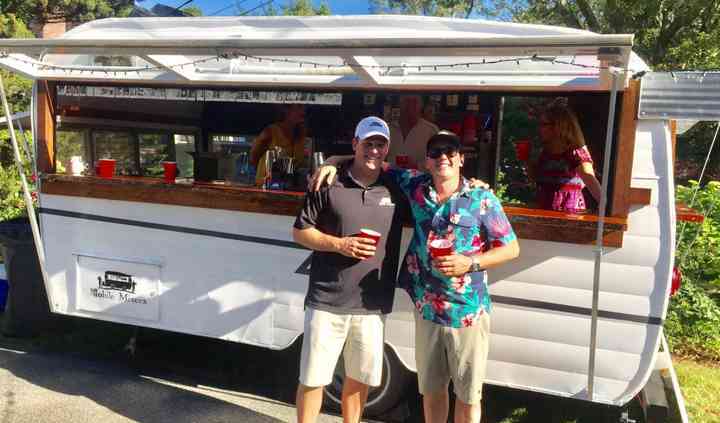 This custom mobile bar is driven to your event site, set up just like a bar, and certified bartenders will service your event. Make your cocktail hour at your reception something to remember by hiring Cape Cod Mobile Mixers. They went above and beyond to work with us for our rehearsal dinner and wedding day. Very professional. Nothing but great things were said from all of our guests. 5 stars all around! Read more They went above and beyond to work with us for our rehearsal dinner and wedding day. Very professional. Nothing but great things were said from all of our guests. 5 stars all around! Mike and Rory provided bartending services for our Rehearsal Dinner in Dennis, MA. They were responsive, helpful, friendly, and clear communicators. 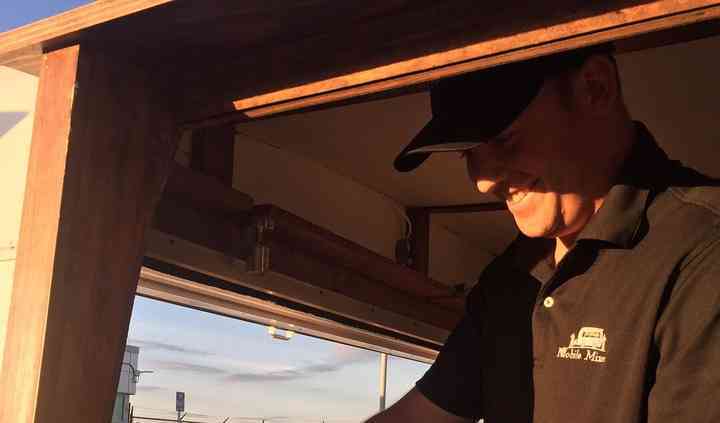 At every opportunity, Mobile Mixers were willing to ... Read more go above and beyond to ensure we had a fun and stress-free event. Many of our guests commented about how friendly the bartenders were... and many more commented on the awesome Shasta trailer/mobile bar. 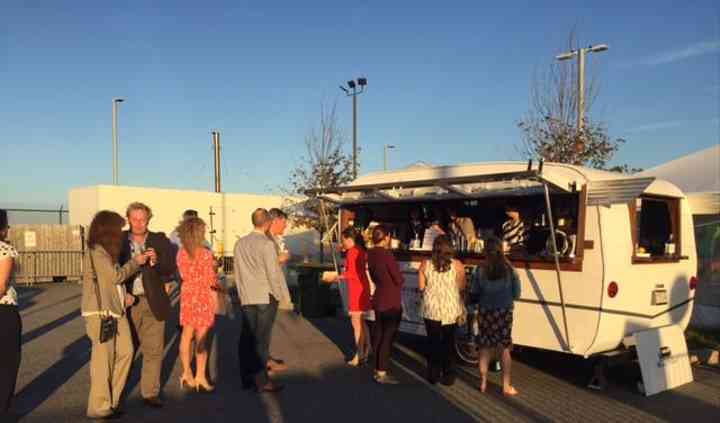 I strongly recommend Mobile Mixers for any wedding, rehearsal dinner, or backyard party/bbq. Went To a wedding where they hired Mobile Mixers, such a great idea! They had everything anyone could want to drink,Rory and Mike were just so kind and professional I can't wait to hire them for our ... Read more upcoming kids birthday cause why not one less thing to worry about! !